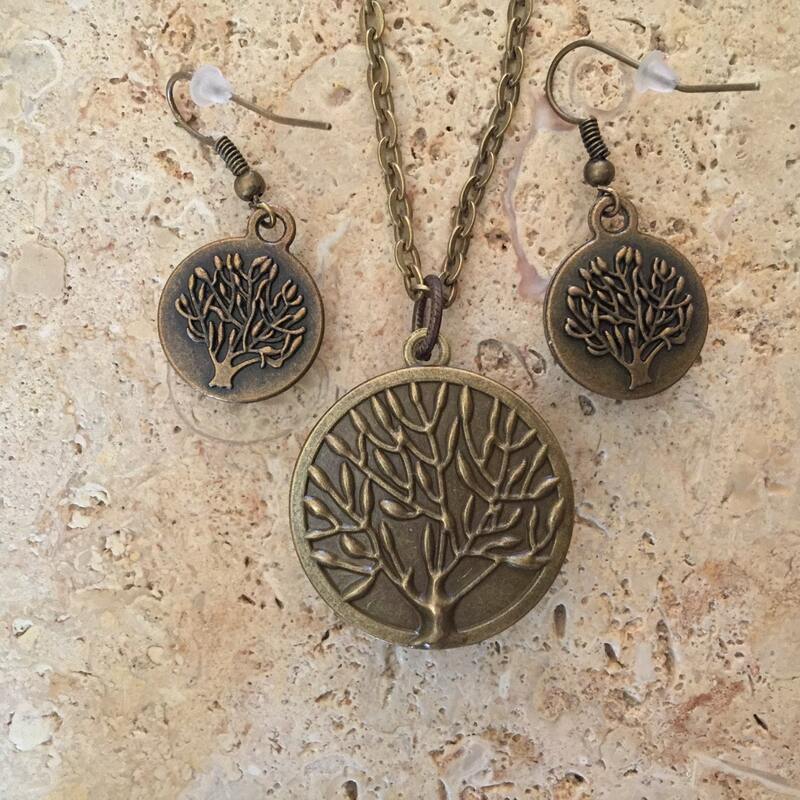 The pendant is created on a very unique setting with an antique bronze tray with the tree of life on the backside of the pendant in a raised texture. The tray is covered with a glass dome. The glass is round and measures 1" in diameter. The pendant comes on a matching 24" antique bronze link chain necklace which is lead free and nickel free. 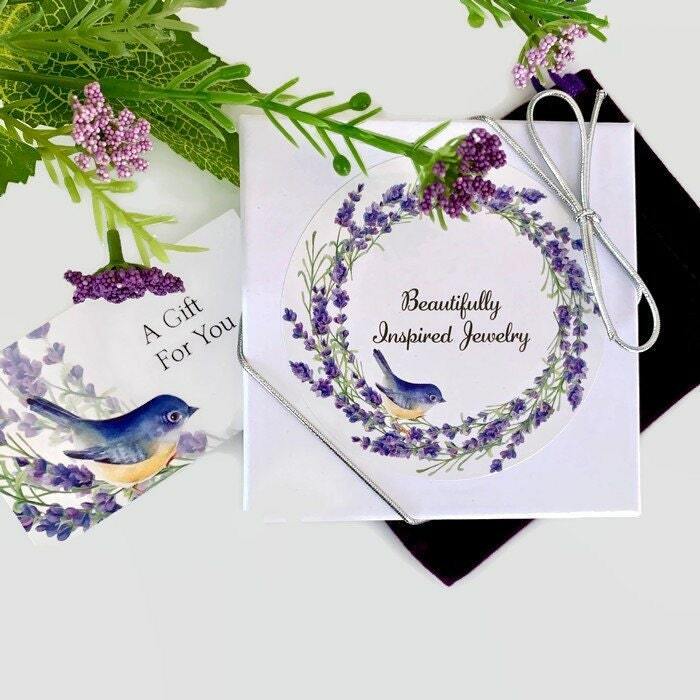 The pierced earrings are very unique as well. 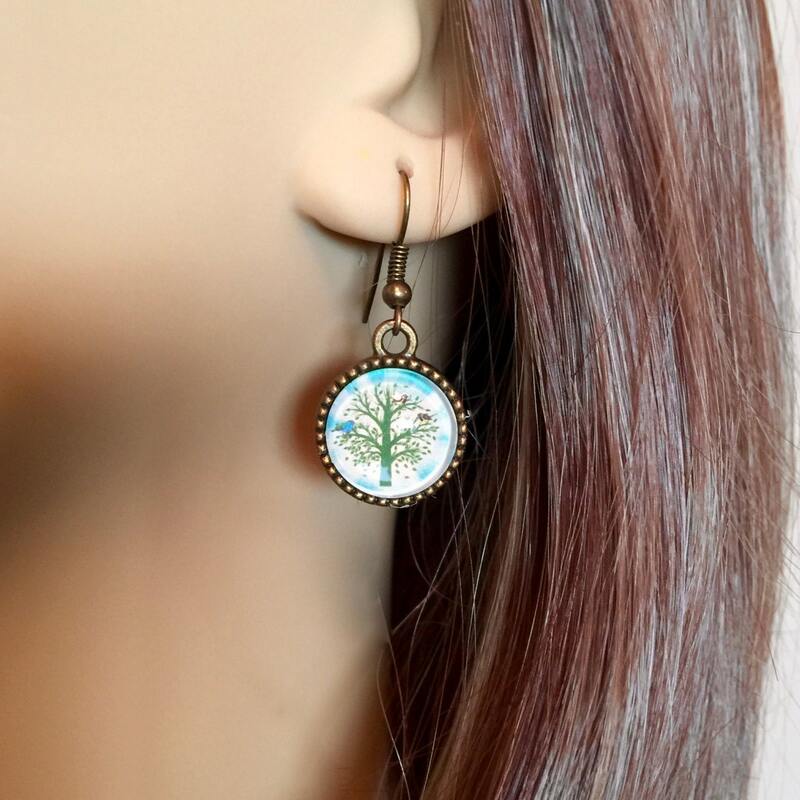 They match the pendant perfectly with small 14mm trays with the tree of life on the backside of the earrings in a raised texture. 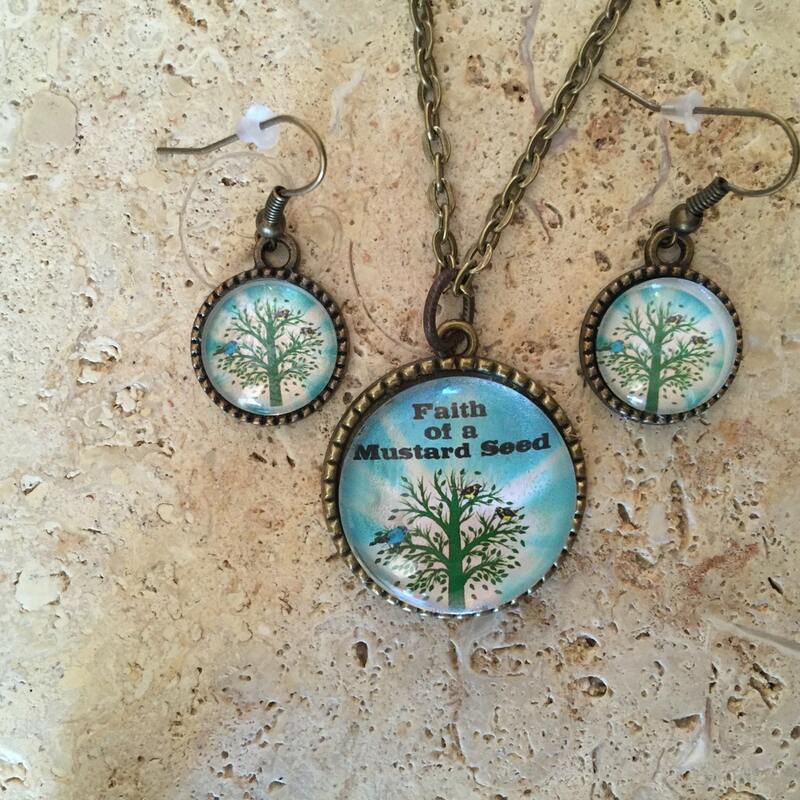 The front has a glass dome with matching tree of life art to match the pendant. 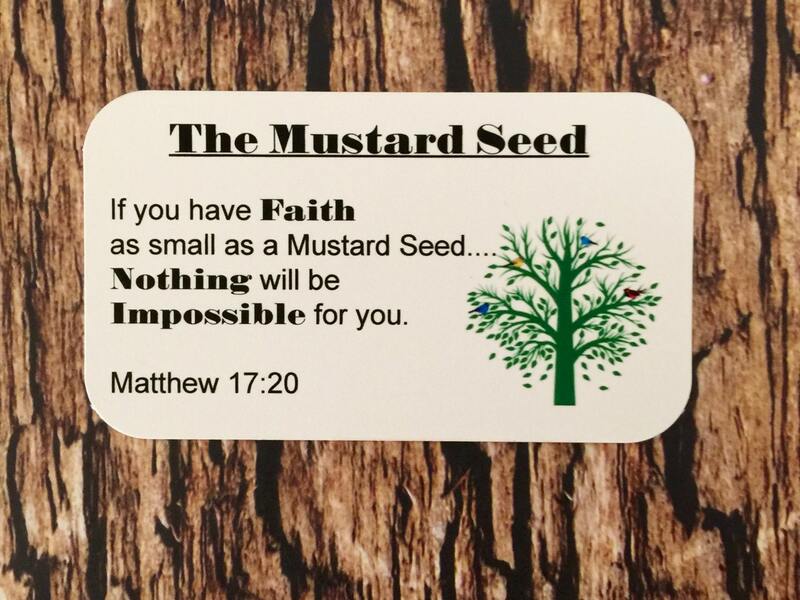 The pendant and earrings are boxed as a set in a pretty kraft gift box with a velvet jewelry pouch wrapped in raffia ribbon, along with a keepsake card with scripture Matthew 17:20 that explains the Faith of the Mustard Seed. 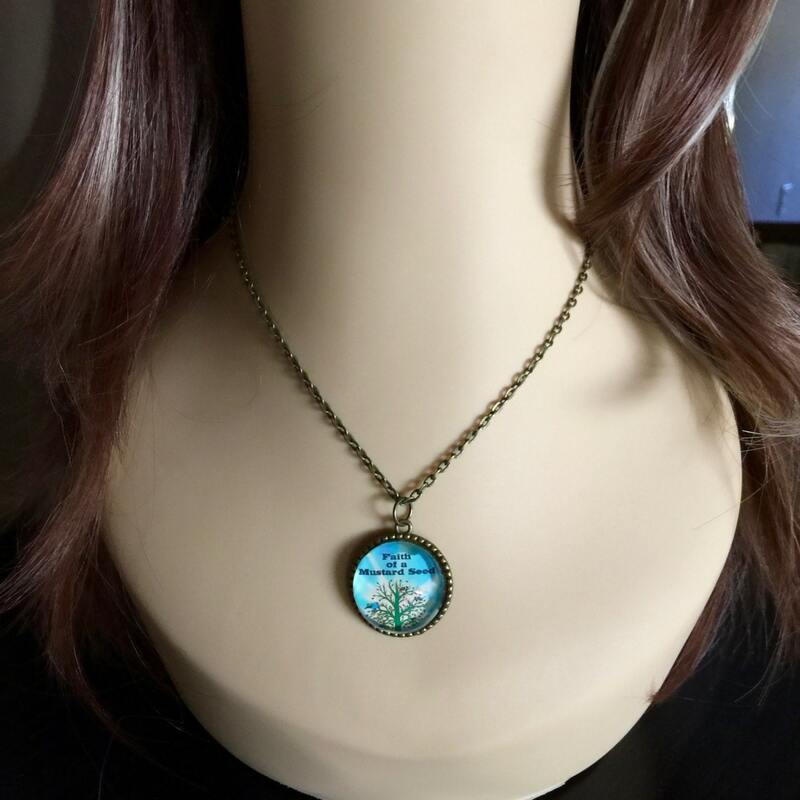 Please note that this necklace is water resistant to a splash of water or rain, however is not waterproof, so it should not be worn in the shower or while swimming. 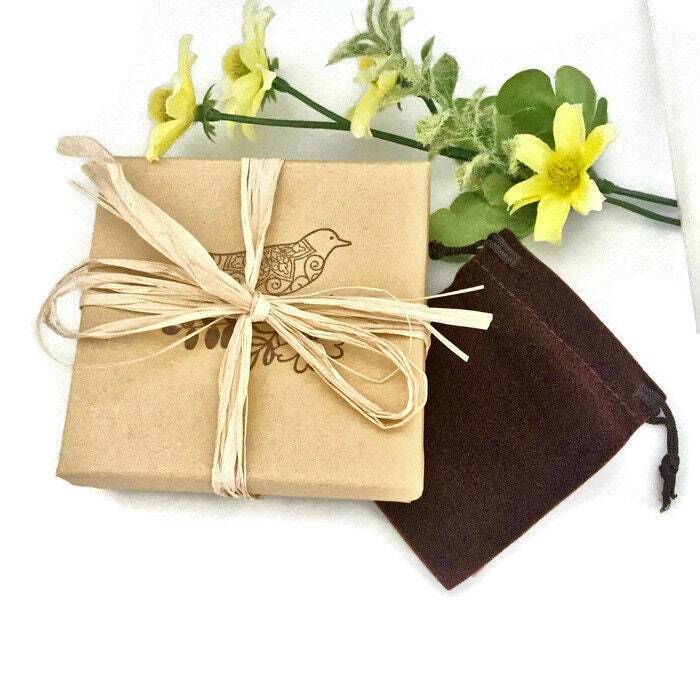 Beautiful wrapping and presentation! My friend will love it! Thank you so much for your speedy delivery, as well. I will definitely order from you again!